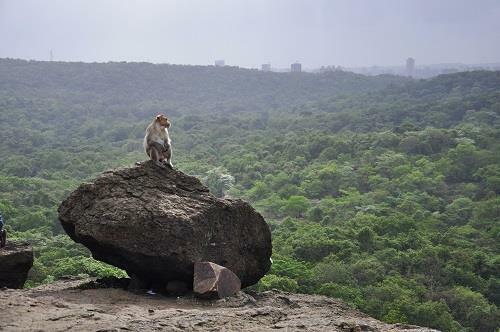 Sanjay Gandhi National Park is a highly protected forest reserve on the northern border of Mumbai. This envelopes an area of around 104sq.km and considered to be one of the largest forest reserves in Asia. Sanjay Gandhi National park is known for being the only forest reserve with such proximity to the city. Sanjay Gandhi National Park, popularly known as the Borivali National Park is flocked by more than a million tourists from all over the world. The main attraction has been its natural habitat and its richness in flora and fauna, which provides a restorative effect on one's mind. The park rests in the mountain ranges of the Mumbai Suburb, Borivali. It is covered from all three sides by the cities. To its west lie the other Western suburbs, Goregaon, Malad and Dahisar. To the east it is surrounded by the Central suburbs Mulund and Bhandup. There are two Mumbai's major drinking water supplier lakes that flow that are enclosed by this park, one is the Vihar Lake and the other is the Tulsi Lake. National Park Borivali has been said to have more than 800 types of plant species, around 285 species of birds, 5000 species of insects, around 65 reptiles, 145 species of butterflies and around 36 different species of mammals. It is said that the world's largest moth, named the ATLAS Moth has been discovered right here in this park. One can find various endangered species of both flora and fauna here. Sanjay Gandhi National Park is listed as the most visited parks in Asia. There are many points that can be visited in this park, for example the Crocodile park, the lion and tiger safaris. The visit to the jungle with the narrow gauge train has been the major tourist attraction recently, as it helps to catch some bio diversity of the forest's richness. There are few rock climbing and hiking treks available for adventure sports lovers. The other place that could be visited; while being in this park is the Kanheri caves. On Mondays the park is not open for public. The timing for other days are from 7.30AM to 6.30PM. The entry fees for individuals is Rs 44 per person. There are different rates for Lion and Tiger Safari, Boat rides etc.